Rabbi Meir Goldwicht, a prominent Israeli scholar and educator, is the Joel and Maria Finkle Visiting Israeli Rosh Yeshiva and a rosh yeshiva at the Yeshiva Program/Mazer School of Talmudic Studies at Yeshiva University. 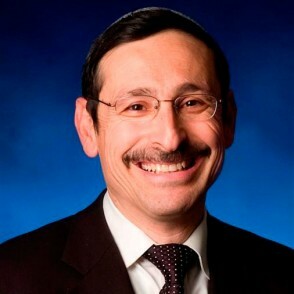 He is also head rosh yeshiva at the Irving I. Stone Beit Midrash Program. Rabbi Goldwicht received semikha from the renowned rabbinic authorities Rabbi Zalman Nehemia Goldberg, former Chief Rabbi of Jerusalem HaRav HaGaon Betzallel Zolti and Rabbi Ovadia Yosef, HaRav Rashi of Israel. Rabbi Goldwicht delivers Hebrew and English shiurim (lectures) extensively across the metropolitan area, throughout the United States and in Israel, including weekly evening shiurim in 5 New York area communities. He has delivered more than 1,000 inspiring shiurim every year to grateful audiences. Rabbi Goldwicht is also rosh kollel at Camp Mesorah.